In this article we take a look at the business cycle indicators (BCI) as published by the South African Reserve Bank and we question their usefulness since none of the indicators, be it leading, coincident or lagging indicators follow similar trends or patters, making us wonder about their effectiveness in measuring economic activity or predicting South Africa's economic direction, bringing the decisions made by the SARB, in particular the monetary policy committee (MPC) who decides on South Africa's interest rates into question. So just how useful are the business cycle indicators published by SARB? 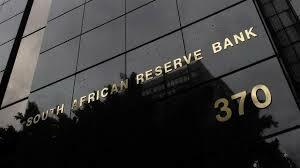 The reason we ask the above question is due to the fact that SARB and their MPC look at various indicators before deciding on South Africa's monetary policy (I.e South African Interest Rates). Now if the indicators they look at are not very useful or accurate, the question is why use it, or even publish it for that matter? Why not improve the indicators so that they all tell a similar story? Currently the indicators published by SARB do not tell a similar story and due to this we are questioning its usefulness. Lagging indicators: This is similar to a post mortem, what happened to the economy after all data has become available and revisions has been made, so this to a large extent shows what actually happened. The line chart below shows a smoothed out version of SARB's three business cycle indicators. We used a 13 month moving average to smooth out these business cycle indices in order to extract the underlying trend measured. As the line chart above shows, none of these indicators speaks to any of the other indicators. The leading indicator is far different to the coincident and the lagging indicators. Showing the leading indicator is not a good forecaster or predictor of the actual economic direction the South African economy actually takes. In fact it tends to be far more negative than the other two indicators. One has to wonder if this is due to the BMR/RMB business confidence index which has shown business confidence in South Africa has been in the dumps for years (click here to read more about the BER/RMB business confidence index). Perhaps it is time for the SARB team to revisit how the coincident indicator is calculated as its clear far to optimistic compared to the other indicators and it brings its usefulness into question as it contradicts the story being told by its two siblings, the leading and lagging indicators. On a slightly more positive note, the leading indicator seems to show South Africa's economic fortunes are picking up, even if it is ever so slightly. Talk about using mixed signals for setting monetary policy. Maybe thats why so many economists get it wrong when predicting what SARB will do with interest rates at MPC meetings. As the data used as inputs into setting monetary policy provides no clear signal or guidance. And we know SARB's forecasting of inflation is horribly poor and the worry for South African citizens is the fact that monetary policy is set using indicators such as the above ones and SARB's internal inflation forecasts.